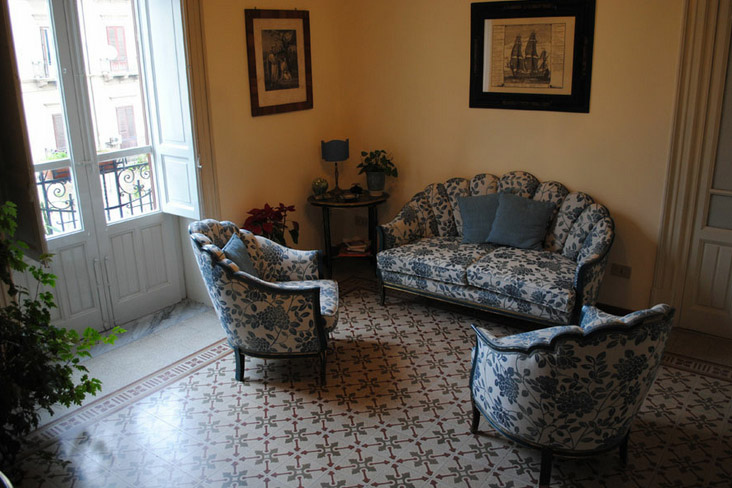 Description In the heart of the historical centre where in a maze of narrow streets it is still possible to find the colours and flavours of authentic Palermo, Elena has opened the doors of her house to those who want to discover the city through the eyes of a traveller. 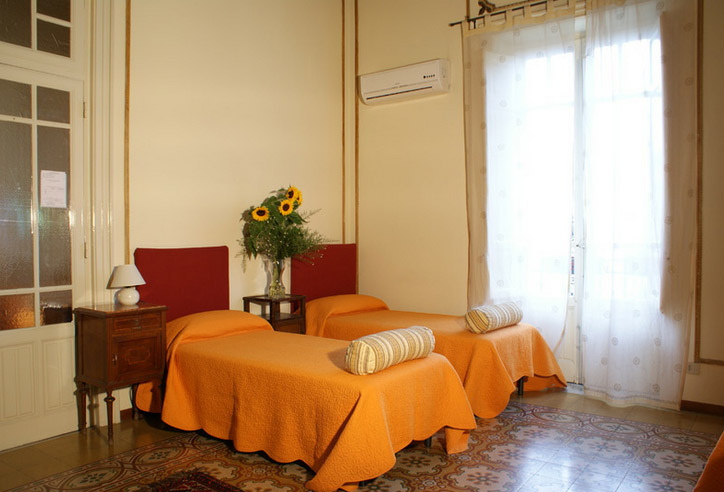 In a “liberty” style building that was for years a famous silver factory, Elena has renovated the ancient rooms of her great grandfather’s residence to offer guests a pleasant and charming stay, with an informal and warm atmosphere. 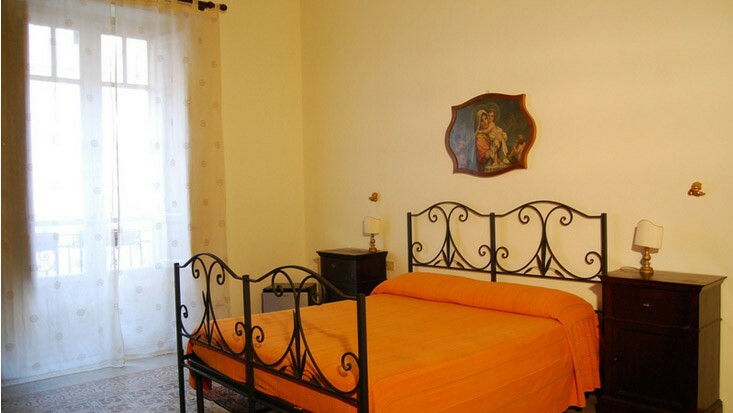 The L’Olivella B&B will astonish you with its marvellous fresco art ceilings, its perfectly preserved floors and the original furnishings, which will tell you a one hundred year history. 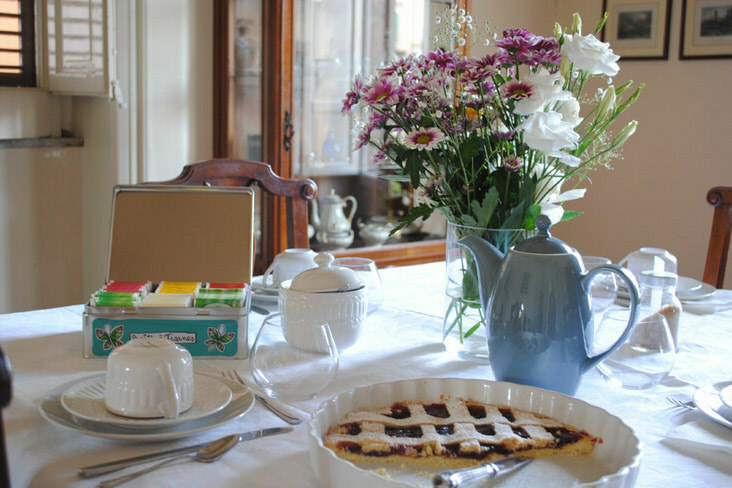 Olivella B&B will be closed from 19th of January to 28th of February 2018. Special rates for stays of 5 days or longer. By bus: The bus to the city centre (Prestia & Comandè) leaves every 30 minutes from arrival station. The stop is Piazza Politeama. Take a walk through Via Ruggero Settimo (500 mt) up to Piazza Verdi. Just in front of the Teatro Massimo you will find via Bara all’Olivella. By train: The train to Palermo stops at Central Rail station. You will find the timetable at the Airport station. From the Station Square take one of the following buses: 101-102-107-122. Stop at central Post office in Via Roma. In front of the bus stop you will find via Bara all’Olivella. By car: If you rent a car at the airport, follow the directions - Palermo-Mazara del Vallo (A29). Take one of the following buses: 101-102-107-122. Stop at central Post office in Via Roma. In front of the bus-stop you will find via Bara all’Olivella.